AUGUSTA—The Legislature’s Health Coverage, Insurance and Financial Services Committee will hold public hearings on the Senate Democrats’ prescription drug reform package over the course of two days on Tuesday, April 16 and Wednesday, April 17. 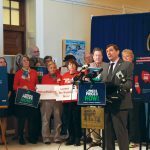 The proposal includes a suite of five drug reform bills – sponsored by President Troy Jackson, D-Allagash, Sen. Heather Sanborn, D-Portland, and Sen. Eloise Vitelli, D-Arrowsic – focused on affordability, accessibility and accountability. Please find the public hearing scheduled for the prescription drug proposal below. President Jackson has two bills that would explore importing drugs from Canada, which are often 30 percent cheaper than in the U.S. One bill would create a wholesale state importation program, while the second bill would create an individual importation program. He also has legislation to create a Prescription Drug Affordability Board. 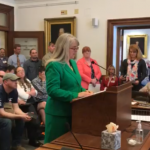 Sen. Sanborn’s bill comes as a recommendation from the Legislature’s Health Care Task Force, which convened during the 128th Legislative session. This bill would require transparency in drug pricing between manufacturers, pharmacy benefit managers and consumers. 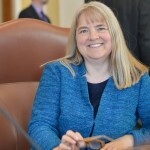 Sen. Vitelli’s bill would require disclosure of drug production, research and development costs, marketing and advertising costs and actual costs paid upon purchase. Members of the public are encouraged to attend the public hearings and submit testimony. Anyone unable to attend can submit written testimony to the committee via email at HCIFS@legislature.maine.gov.